Daniel Silva is the author of the worldwide-loved Gabriel Allon spy thriller series. 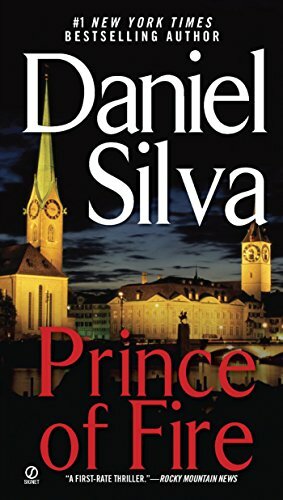 If you do enjoy reading this genre, Daniel Silva is an author highly recommended picking up. The Gabriel Allon series features Gabriel, a native Israeli, a master art restorer and spy at times. Here are the Daniel Silva books in order for his popular two series, along with the standalone novels he has written so far. 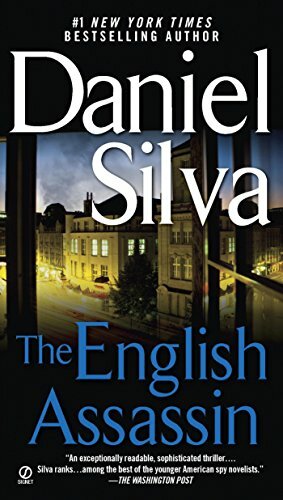 Daniel Silva was born in 1960 in Detroit, Michigan to Portuguese-American parents. At the age of 7, Daniel moved with his parents to Merced, California. As both his parents were schoolteachers, with lots of books on their shelves at home, Daniel had plenty of opportunities to read books from an early age. It was, however, John Steinbeck’s influence that pushed Daniel Silva towards becoming an author. He attended California State University Fresno from where he got his BA in journalism/political science, following which he enrolled at the San Francisco State University, where he started a graduate program in international relations. However, he didn’t finish as he went to work as a journalist at the United Press International (UPI) after getting a good job offer in 1984. Initially, his position was temporary, but after covering the Democratic National Convention, he got a permanent position with the company, following which within a year got him transferred to the Washington, D.C. headquarters. After just two years, he got further promoted and relocated to Cairo in Egypt, as the UPI’s Middle East correspondent. Once returned to the US, he took a job at CNN as a producer and executive producer for TV political talk shows such as Crossfire, Reliable Sources, and Capital Gang. Some 10 years after he became a journalist, he decided to start writing a book. In 1994, by side he started working on The Unlikely Spy , a standalone novel which would be published two years later, and it would dominate the New York Times bestseller’s list for five weeks. This was all the push Daniel Silva needed to pursue writing books full time once he left CNN in 1997. 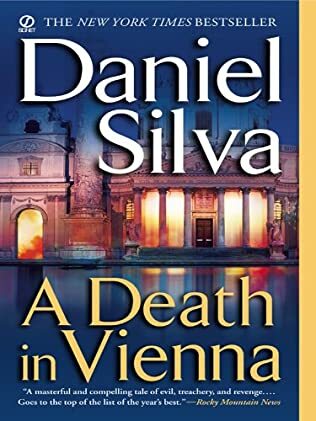 After the initial book, Daniel Silva wrote a new book, either part of the Michael Osbourne series or his Gabriel Allon series, almost every year. 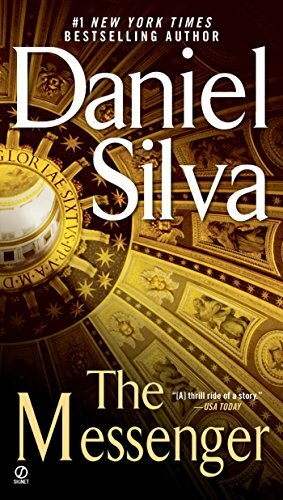 The Daniel Silva Gabriel Allon series is the author’s most popular work to date with over 20 books published so far. The Gabriel Allon series is what the author calls “international intrigue,” since Gabriel Allon works for the Israeli Intelligence Service. Yet, in the book-reading circles, it is called a spy thriller series. For his research for his book, Daniel Silva often travels to travel to all the places the book takes his main character as well. Also, he does a lot of reading on the topics that his books will cover. An interesting note about his research, the author Daniel Silva even got a private tour of the Moscow ex-KGB headquarters. 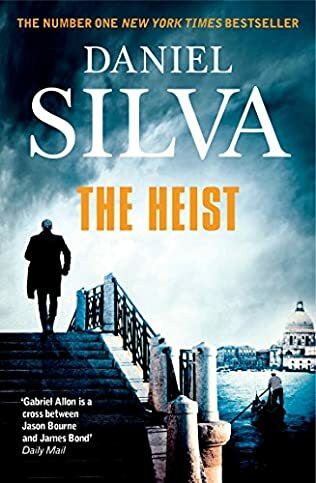 Generally, in order to write a book a year, Daniel Silva spends about seven months actually writing the manuscript and the rest of the five months editing, adding the finishing touches, and reworking what’s necessary to make the next book another bestseller. When Daniel Silva wrote The Kill Artist, Gabriel Allon was supposed to feature in a standalone novel only. The idea of creating this character happened during a dinner with some family friends, of whom one was an art restorer. This gave the author the idea of creating a quirky character, an art restorer by day and a spy and assassin by night. The duality created in this character make the books appealing for a wider range of audience, even for readers who generally don’t read spy thrillers. 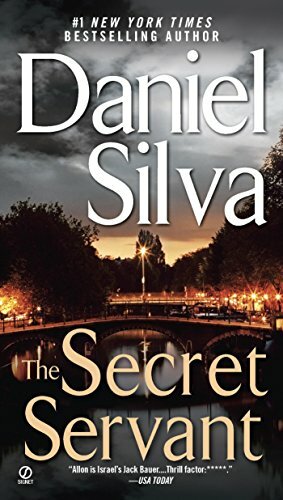 When his publisher, Putnam, gave him the idea to create a series out of Gabriel Allon, initially, Daniel Silva was against the idea since he didn’t believe that the readers would enjoy a bunch of books on an Israeli spy what with the current anti-Semitism feelings in the world. Thankfully, much to the series’ fans, the author fleshed out both the series and the character of Gabriel Allon, and the rest is history. The author mentioned in an interview that he would very much like to write other books with other characters in them as well, but the Gabriel Allon fans would be quite angry at the change, so for now, Gabriel Allon is alive and well for many more books to come. The Daniel Silva books have been published all over the world and translated into more than 30 languages. The books are all New York Times and international bestsellers, being published by Penguin Random House and by HarperCollins. 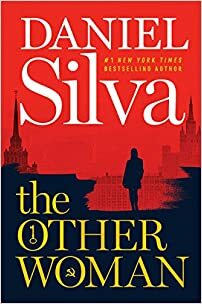 The rights for a Gabriel Allon TV series have been last year acquired by MGM Television, with Daniel Silva and his wife, Jamie Gangel, being executive producers of the show. Currently, Daniel Silva lives with his wife whom he met back in 1988 while both were Middle East correspondents, and two kids (two twins). For many years they lived in Washington, D.C., but recently the family moved to Florida where they watch the ocean every day.